F.I. 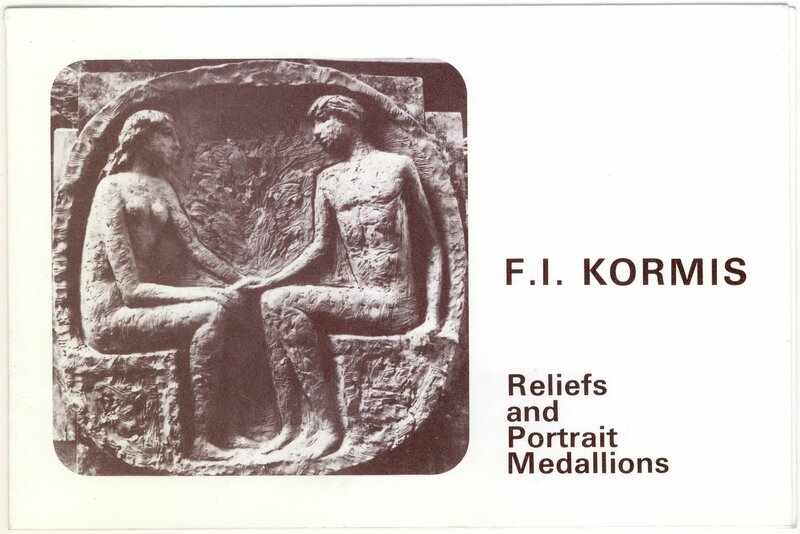 Kormis was born in Frankfurt, in 1897, and, in 1910, became an apprentice in a sculptor’s workshop. He served in the Austrian army in the First World War, becoming a prisoner of war in Siberia in 1915. Not being released until 1920, this was an experience which coloured his career. He returned to Frankfurt, in 1932, when Hitler came to power but Kormis, as a Jew, was banned from working. He moved to Holland and had exhibitions in Amsterdam and the Hague, and, in 1934, came to England, and had his first exhibition in London. In 1940, his studio was bombed and the bulk of his work up to that time was lost. 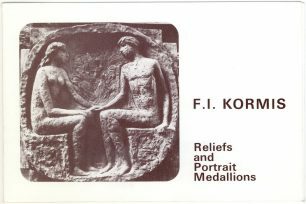 As a result of his experiences, much of his work is memorials to prisoners of war, and to the Holocaust. For example, Marchers, a memorial sculpture of victims of war on their way to work at concentration camps, was given, in 1975, to the Philosophy Department at King’s College London. 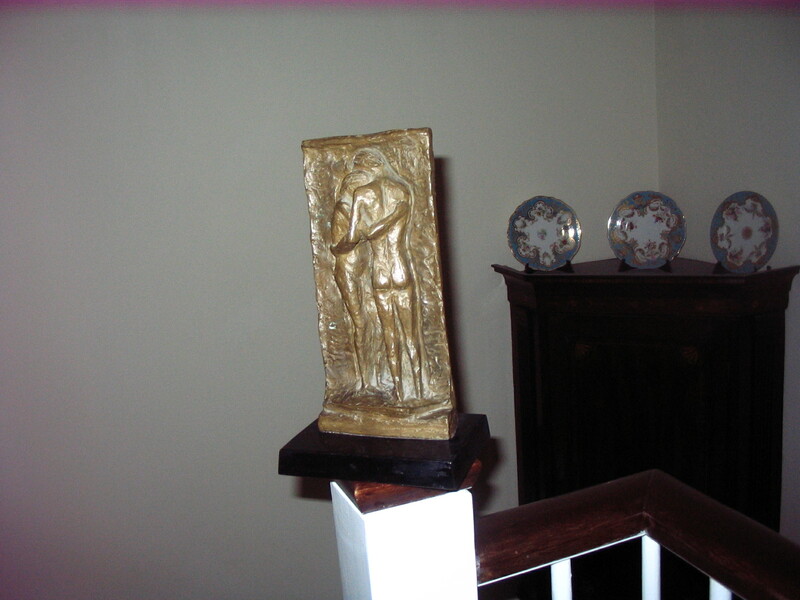 This had been allowed to deteriorate over the years and, in 2003, was so vandalised that the figures were smashed. The whole area has been restored together with the figures, which were found in pieces in the undergrowth. 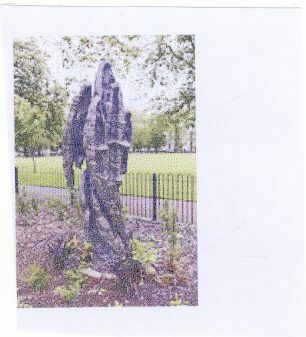 In 2006 Angel’s Wings was donated to Queens Park. 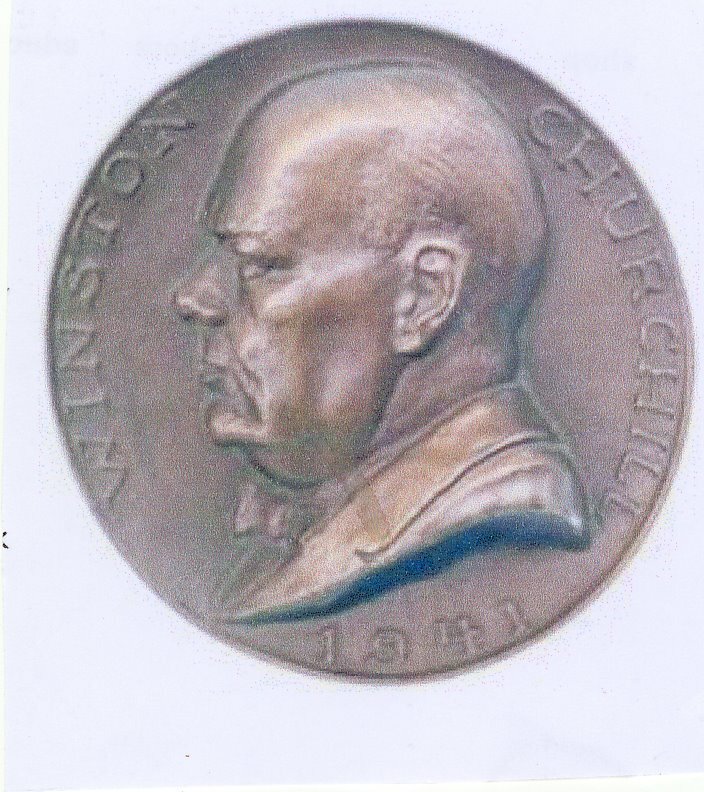 He, also, produced medallions such as this one of Winston Churchill, in 1941, which was commissioned by Hodder and Stoughton to illustrate the jacket of a book about Churchill – this is now in the Fitzwilliam Museum Cambridge. Bronze portrait medallions in the British Museum include King Haakon of Norway, John Winant, General Sikorski, Lord Mountbatten, Anthony Eden, Lord Beaverbrook, Alexander Fleming, Menahem Begin, Louis Golding, J.B.Priestley, Henry Moore, Michael Tippet, Charlie Chaplin.His 1936 medallion of King Edward V111 is in the National Portrait Gallery. 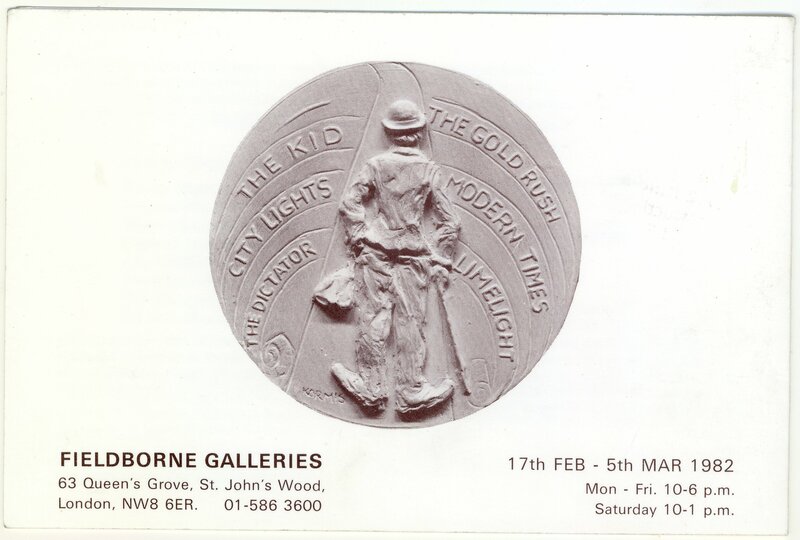 He lived in Clifton Hill in St Johns Wood. In many of his works the figures seem to be searching for something, or someone, and the arms are as expressive as the faces. 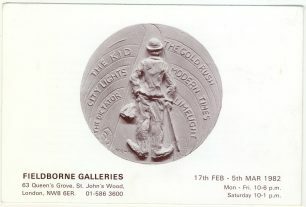 This maquette for The Lovers was bought at the Fieldborne Galleries, in Queens Grove, St John’s Wood in 1982. This page was added on 28/03/2011.